The spread of digital wallets in India is declining. The first e-wallet was introduced in 2006, after which the number of service reached 60 e-wallet companies by the year 2017. However, due to several reasons, the number of e-wallet companies has been reduced to 49. Reserve Bank of India has given this information. Experts have pointed out several reasons for the lack of numbers, competition, lack of profit. 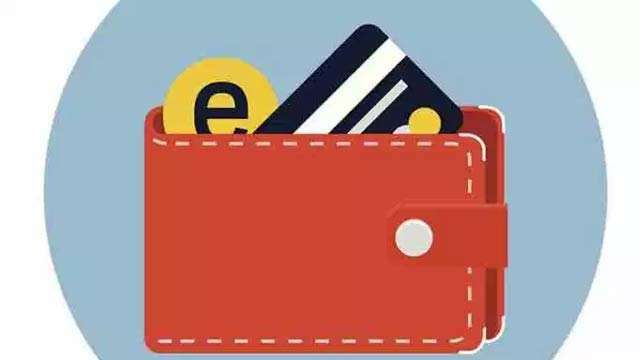 Wallet365.com was India's first e-wallet service. It was launched in 2006 by Times Group in the Association of YES Bank. After this, many other banks and non-banking financial services companies stepped into this sector. This includes companies like Bigbasket, Grofers, Amazon and Whatsapp. Of these, Paytm and Mobikwik have made a good share in the market. These companies have received help from the number of growing smartphones in the country. With the increasing number of smartphones, Indians have adopted online banking in the last three to four years. The biggest surge in it came in November 2016 when the ban was announced. The e-wallet industry is expected to be 30,000 crore by 2022, which was about 154 million in 2015-16. MobiKwik's Co-Founder Worship Toukou said that payments are a low-cost business with a high-volume and that is the biggest struggle of companies. The result is that either companies have closed their business or have increased the business. At the same time, the worship taker also said that to earn profits in the Wallet business, companies need to maintain not only userbasket, but also to maintain the BlackBerry Merchant Network. Or have to look for a reason that the customer should use their wallet as a payment option. On the other hand, The Mobile Wallet founder and managing director Vinay Kalantri said that if you do not have a large user base then you are wasting your money only. Many big companies are taking ownership of small farms. For example: The Mobile Wallet had purchased Trupay last year. Similarly, Axis Bank has purchased FreeCharge, Amazon, Emvantage Payment Gateway. Many other such examples are also present. Meanwhile, the central bank has prepared some new criteria. For example, net worth of digital wallet companies has been increased from Rs 2 crores to 5 crores. It has minimum positive net worth of Rs.15 crore in three financial years. This has become a major problem for new companies. Apart from this, all e-wallet companies need to know the authenticity of their customers completely. Not only this, companies need some additional documents which are emerging as one more problem.